View a larger image of the controller. Smart Continuity means no false continuity because of rain. StarFire replies with "Good," "Marginal," "Bad," and "No Connection." Instead of simply seeing that you have continuity on your largest, most important shot of the display, StarFire will tell you “Marginal” so you know you have too many e-match on that circuit, and warn you that it might not fire. StarFire also has manual capabilities. The system can be used as a manual firing system by selecting the module then firing the cue, just like every other manual firing system. No need for a different system when you want to manually fire a smaller, simpler display. With StarFire you can use multiple controllers, so displays of unlimited size and multiple locations can be shot in perfect sync with each other. StarFire also contains a Sequence Firing Mode. With this mode you are able to control the pace of the display by designing “shots” that can include multiple cues and timing delays. So with one touch of a button, you can shoot such things as sequenced mine runs, individual segments of the finale, or whatever else you can imagine. Instead of jumping around from module to module, StarFire allows you to put all of your cues in order so the entire display can be shot by pressing the next button in line. This helps to prevent firing something out of order “in the heat of the moment”. 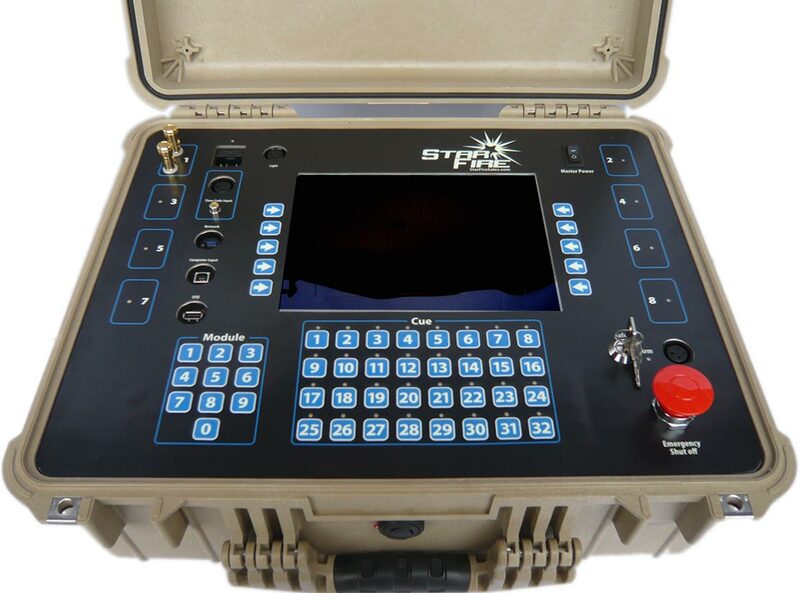 StarFire is the best of both worlds allowing for the manual controlling of pace, but automating the fancy more complicated sequences that only a computer firing system can do. pay extra for the firing software? 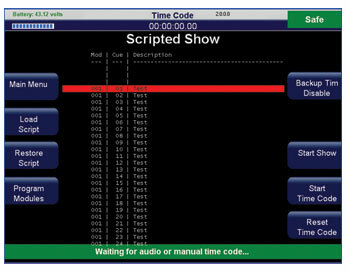 With StarFire, the software to shoot your display is included at no additional charge. 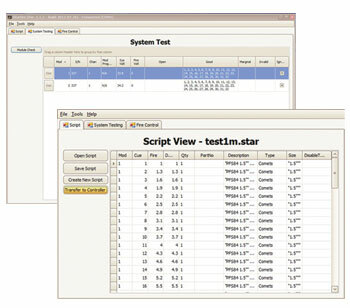 The firing software allows you to open scripts that are designed in a variety of different choreography software, including ShowSim and Finale Fireworks. 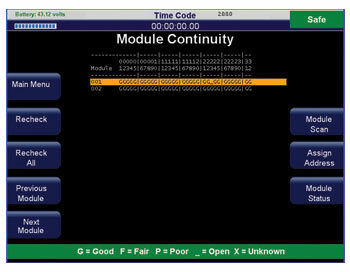 The firing software also allows you to do more advanced continuity checking against your script, module testing, etc. And, if you don’t have choreography software, the software allows basic editing of your script, or allows you to save the script in a text file format so you can easily edit it using either a text editor or excel. The script file just needs to contian the module, cue, and fire time of each firework and the system will do the rest!